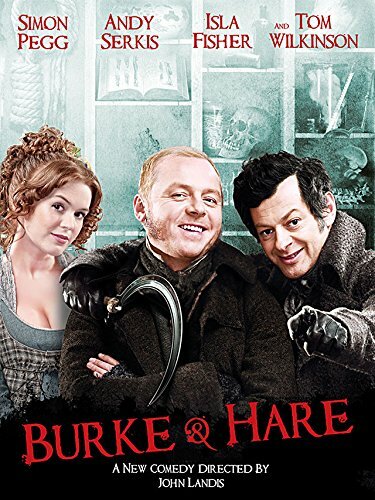 Get Scottish Murders cheaply from Amazon, or watch the most recent Burke & Hare film. You too can earn money from writing articles by signing up for InfoBarrel. Burke and Hare were a pair of serial murderers operating in Edinburgh in the early nineteenth century. Although the number of people they killed far exceeds those of killers such as Jack the Ripper, they are less well known; probably because their true identity is known beyond doubt, while Jack's is still not known for sure. The result of their actions was a change to how anatomy was done in the country, with greater regulation and an increase in the supply of corpses, in order to remove the circumstances that resulted in these murders. Credit: http://en.wikipedia.org/wiki/File:Old_College_of_Edinburgh_University.JPGThe University of Edinburgh was, and still is, internationally renowned as being one of the best medical institutions in the world. The University itself was founded in 1583 by Edinburgh’s Town Council. It was the first civic university in Britain. Although the Medical School has history dating back to the sixteenth century, the Faculty of Medicine was not officially recognised with the University until 1726. The aim was to attract foreign paying students to Edinburgh as a boost to the economy. This history of Edinburgh being a leading location for medical training and research meant, during the Resurrectionist Times, there were plenty of doctors, anatomists and professors with a need for fresh bodies to dissect and study. The study of human anatomy in the nineteenth century saw anatomists complete the work started during the previous century. Prior to this, the knowledge of the body was limited, and people were ignorant of anatomy, which was based more on tradition than any practical knowledge. The growth in the study of an anatomy also saw a corresponding growth in the demand for human cadavers, both for research and especially for their use in public demonstrations of anatomy or dissections. This growth in the demand for fresh corpses resulted in the demand exceeding the, at the time, limited supply, the only real sources being those who donated their bodies to science, or had them donated by relatives, and eligible corpses under the Murder Act. Few bodies were donated to medical science, to a large extent because of religious beliefs, and that of the Last Trump. It was believed that it would not be possible to answer the call of the Last Trump if the person’s body had been dissected. Anatomists needed a supply of bodies. Although this Act was proposed in 1751, it was not actually passed until 1752. The Act was intended to help prevent "the horrid crime of murder" with "further terror and peculiar mark of infamy be added to the punishment." Under its terms, "in no case whatsoever shall the body of any murderer be suffered to be buried." As such, the cadaver of the person executed could either be hung in chains or publically dissected. The latter providing fresh cadavers to the medical profession. The Bloody Code was the name given to the laws that vastly increased the number of offenses that incurred the death penalty. By the end of the eighteenth century, 220 different offenses could all be punished by death. Such a large number of offenses incurring capital punishment resulted in a lot of bodies for the medical profession. In 1823, the Judgement of Death Act removed the mandatory death sentence for all crimes except murder and treason. The death penalty was still possible for other crimes, but it was discretionary. Transportation to Australia or enrolment in the army were common alternatives. This Act meant that the supply of bodies that could be available for anatomists was greatly decreased. The period known as the resurrectionist times was a logical outgrowth of the progress made in the study of human anatomy, and the need for a regular supply of fresh bodies to study. A ship from Broomielaw in Ireland arrived in Glasgow with a consignment of linen or cotton rags. The rags, which were all bagged, were addressed to a merchant on Jamaica Street, Glasgow. The fee for transporting the shipment was between £50 and £60 - a sizeable sum - and the intended recipient refused to pay, as no rags were worth such a freight charge. The cargo, still bagged, was returned to Broomielaw, where they remained undisturbed until a stench from them caused officers of the city to open them. Inside were found the bodies of men, women and children, all now in a state of decay, which were then buried in Anderston Churchyard. The bodies were believed to be destined for the medical schools of Glasgow and Edinburgh and would have fetched between ten to twenty guineas (the value of a guinea was fixed at 21 shillings, or £1 1s in 1816), for each corpse. The Jamaica Street merchant hadn't received the message informing him of the value of the cargo until too late, or he would have paid the freight and made a sizeable profit. Body snatching as a crime had been around for years. The earliest recorded instance in Edinburgh of what was possibly body snatching was 6th February 1678. The body of the youngest member of the recently hung Shaw family vanished from where the bodies were. This was recorded in Fountainhall MS and the Library of the Faculty of Advocates in Edinburgh. Not many doctors or professors were recorded as having being involved in the actual body snatching, but many medical students were, some of whom later became doctors or professors themselves. The lack of direct involvement was probably a combination of reluctance to get their hands dirty, combined with reluctance on the part of the authorities to actually charge such doctors who were caught. Credit: http://en.wikipedia.org/wiki/File:Mortsafe,_Greyfriars_Kirk.jpgAs a consequence of this, graves and graveyards were protected. Relatives of the deceased would guard graves after burial. Graves themselves would have iron cages (known as "mortsafes") erected over them to protect them from depredations. Trap guns would also be placed to go off should graves be tampered with, and these were known to have killed people. The Resurrection Men were those who stole bodies not to advance scientific knowledge, but rather to sell them to those looking for corpses to conduct such experiments on. Their motive was simply greed. T Credit: http://en.wikipedia.org/wiki/File:Body_snatchers_at_work,_Old_Crown_Inn,_Penicuik.JPGhe Medical School of Edinburgh received bodies from a number of body snatchers. Three of these in particular were made famous in Court of Cacus by Alexander Leighton, Merrylees, or Merry-Andrew, the individual known only as "Spune" and Mowatt, known as the "Moudewart." These were not the only suppliers of bodies to Surgeon's Square in Edinburgh, but were the most noteworthy. These individuals did not just dig bodies up, they would also buy corpses of the newly deceased from their relatives, which they would then sell on, even a sister of Merrylees was not immune, and was sold by her brother. The activities of Resurrection Men were not confined to the major cities either; the countryside was a popular place for their depredations. Dundee was the source of many fresh corpses to Edinburgh. Despite any attempts to guard the graveyards, bodies were still stolen. The corpse of any person who died from an unusual disease, or suffered from any other interesting problem, was greatly in demand. The Howff, a graveyard in the city of Dundee itself, suffered heavily from the actions of Resurrection Men. One of the most notorious was Geordie Mill, a local grave-digger, whose actions were celebrated in a local song, much of which has been lost. The following verses are from the notes of Dr Robert Robertson and Mr James Patterson. To carry the spakes in the mornin'. And in the trunk there was a line. Wi' the coach on Wednesday mornin'. "Geordie's wife says, 'Sirs, tak' tent. For a warning to me's been sent. "Quo Robbie, 'Wife, now hush your fears. To keep them richt in the mornin'." "And that was a deil o' a mornin'." Dr Knox was believed to be the recipient of the bodies taken by them from the Howff in Dundee. Credit: The History of Burke and HareWilliam Burke was born in Ireland in 1792, in Orrey parish, which was about two miles from Strabane, County Tyrone. He was the son of a labourer, Neil Burke. Although a Catholic, his first recorded work was for a Presbyterian minister, although his original trade was suggested to have been that of a cobbler, and then a baker and a weaver, before finally enlisting in the Donegal militia, as either a drummer or a fifer. As he was known later to be an excellent flute player, he probably served as a fifer. He was the personal servant of one of the regiments officers, and he married a young woman from Ballina. After the regiment was disbanded, he then went to live with his wife's family. Some quarrel with his father-in-law over a piece of land caused Burke to leave Ireland and his wife, and never return again. He arrived in Scotland around 1817-18, and initially worked as a labourer on the Union Canal, then being constructed between the Forth at Edinburgh and the Clyde Canal near Camelon. Burke lived in the village of Maddiston whilst working on the Canal, and there he met his accomplice-to-be, Helen Dougal, also known as Helen McDougal. Dougal was born in the neighbouring village of Redding, and was initially the mistress of a man named McDougal and, when his wife died, she went to live with him. Although not formally married, they were considered to be man and wife from living together, and she took his name, McDougal. Credit: The History of Burke and HareThe McDougal’s left Maddiston for a while for Leith where McDougal pursued his trade as a sawyer. When McDougal contracted typhus and died in Queensferry House, Helen returned with two children to Maddiston. Burke moved in with her, and they lived together even though the local priest advised Burke to leave her and return to his proper wife in Ireland. Burke's refusal led to him being excommunicated. Although Burke and McDougal's relationship was somewhat tempestuous, both liking to drink a bit too much, they remained together. Burke was described as being peaceable and a steady worker, even when under the influence of drink. Burke and McDougal moved to Portsburgh in Edinburgh, presumably because of a lack of work in Maddiston, and took residence in a place known as "The Beggar's Hotel" owned by a man named Mickey Culzean. Burke worked as a shoemaker or cobbler, often buying old footwear and repairing it, before selling it on, making an estimated 15-20 shillings per week doing so. The Beggars Hotel burned down, destroying all their possessions and Culzean rented a new property in Brown's Close, of the Grassmarket, and Burke and McDougal moved into this new residence. Burke also appears to have had a minor and short-lived religious revival at this point. Burke and McDougal moved out of Edinburgh to Peebles, where Burke worked on the roads, before returning to Edinburgh in the autumn of 1827, where they took lodging with William and Mrs Hare after Burke, who knew Mrs Hare previously, mentioned to her over a drink that he was planning to move west. Mrs Hare convinced Burke to move into her house in Tanner's Close, Portsburgh, and to take up work as a cobbler again, which he did in the cellar. In the same cellar, Hare kept a donkey used when he was hawking, and from this chance their partnership later arose. Credit: The History of Burke and HareWilliam Hare was also born in Ireland, although somewhat less is known about his origins. His birth date is given as either 1792 or 1804, and his birthplace as either Poyntzpass or Derry. Hare was a more violent man than Burke, especially when he had had a drink. He, too, immigrated to Scotland, and also did work on the Union Canal like Burke, although there is nothing to suggest that they actually knew each other. Credit: The History of Burke and HareAfter working on the Canal, Hare then worked as a "lumper," which refers to a docker who unloads fish from fishing boats, with a man named Dawson, who had a wharf at the Edinburgh terminus of the Canal at Port-Hopetoun. Here he met James Log or Logue, who had a canal contract near Winchburgh, where his wife, Mary Laird, also worked for her husband. Hare then worked as a hawker, first using a horse and cart but later operating from a hand barrow. Log and his wife in the mean time opened a lodging house in Tanner's Close, and Hare initially resided there, but left after a quarrel with Log. Hare returned after Log died in 1826 and eventually married the former Mrs Log, now Mrs Hare. The lodging house of which Hare now become an owner had seven beds, and the income from this provided means for Hare to get money to buy drink without having to work for it. Under the influence of drink he became violent towards all, including his new wife, although she, too, liked a drink and was as likely to return it in kind. Robert Knox was born in 1791 in Edinburgh. He graduated from Edinburgh University in 1814 as an MD; he initially joined the army as an assistant surgeon. He studied anatomy in Paris between 1821-2. In 1822 he returned to Edinburgh and was elected a Fellow of the Royal Society of Edinburgh, and in 1826 he started running Barclay's anatomy school in Surgeon's Square. Knox was the most popular lecturer in anatomy and had more students for his private lessons than the rest put together. The limited number of valid corpses available caused problems for him, as he would have preferred to have one corpse per pupil, and made him amenable to buying dead bodies with very few questions asked. The first body they sold was not that of someone they had murdered. There was a pensioner named Donald who lived in the Hare's lodging house, and he died in 1827, around Christmas, owing Hare about £4 in outstanding rent. It seemed likely that Donald's relatives would not make good on this debt, so Hare thought that by selling Donald's body he could maybe recoup his money. According to Burke's confession, Hare broached the idea to him, asking for his help in return for a share of the monies, and that Burke reluctantly agreed. The pair opened the coffin, removed the body, and added tanner's bark (a bark rich in tannin used in the tanning process) to hide the fact that the body was missing. The body was concealed in a bed, and the coffin was duly buried. Credit: Image Copyright Kay Williams. This work is licensed under the Creative Commons Attribution-Share Alike 2.0 Generic Licence. To view a copy of this licence, visit http://creativecommons.org/licenses/by-sa/2.0/ or send a letter to Creative Commons, 171 SecoBurke and Hare made their way to Surgeon's Square, and Burke went to the door of one of Dr Knox's classrooms, where he was approached by a student. He conversed with two students, both of whom achieved some fame in later life, Sir William Ferguson, F.R.S. and Thos. Wharton Jones. After some roundabout broaching of the topic, the students told Burke to return with the body concealed in a tea chest, saying that they would pay up to £10 depending on the body. Burke and Hare returned that evening with Donald's body concealed in a sack. After examining the body, Dr Knox paid them £7 10s, Hare getting £4 5s and Burke £3 5s. Knox said that he would be glad to see them again, should they have any other bodies that they wished to dispose of. Credit: The History of Burke and HareBurke and Hare were not, as is often commonly thought, body snatchers. They were murderers and serial killers, pure and simple. Rather than waiting for someone to die, be buried and then digging up the grave, they determined to cut out the intermediate stages and just make the corpses themselves. They killed more known people as a pair than probably any other British serial killers, although others may have killed more individually, or have deaths that were never attributed. They certainly killed their victims in a very short space of time - under a year. Being a lodging house, it was typically open and many of the rooms were overlooked by passing traffic. Killing someone without being noticed would have been difficult. There was one small room that only overlooked a pigsty and wall, and this was where most of the murders were committed. Here, the nature of the lodging house worked on their behalf; the very noise that came from such a place made it easy to disguise the noise of performing the murders, even if the murder was heard at all. The house has since been torn down. After returning to the lodging house, Burke and Hare saw this as a chance to make easy money. When speaking to the students, Burke asked the question "Wouldn't you give a pound more for a fresh wun?" in reference to the body. Rather than digging up corpses from the graveyards, the pair determined to get fresher bodies to sell. These bodies were, of course, to be obtained through murder. Hare started roaming the streets looking for a victim. The precise date the first victim was killed is uncertain; Burke stated it was spring 1828, the author Alexander Leighton said it was December 1827 whilst the Edinburgh Evening Courant gave it as 11th February 1828. Eventually, Hare found a suitable victim, Mrs Abigail Simpson of Gilmerton, and old and frail woman who had come into Edinburgh to collect a pension (1s 6p per week and a can of kitchen-fee) paid her by Sir John Hope. Hare met her in the Grassmarket after she had collected, and spent a fair bit of it on drink, that pension. Hare, upon meeting her, made out as if they were already acquainted. He quickly gained her trust, and invited her back to his home. Burke was introduced as an old friend, and she was given more whisky. Mrs Simpson told Hare about her daughter and he, making out that he was a bachelor, expressed an interest. Once the whisky had run out, Mrs Hare bought the can of kitchen-fee and Mrs Simpson was plied with more drink. She was in such a state that it was suggested that she remain at the lodging house that night, being too drunk to return home. Although she stayed, she wasn't murdered that night; perhaps there were other lodgers around to overhear, the duo may by that time have been too drunk themselves, or maybe they hadn't mustered the "courage" to complete the kill. In the morning, when Mrs Simpson woke sick and crying for her daughter, she was given more porter and whisky, and then finally killed. Hare placed his hand over her nose and mouth and Burke lay across her to prevent her from struggling. Burke and Hare told one of Knox's students that they had another body. They arranged to meet porter at the back of the Castle and took Mrs Simpson's body in a tea chest. Dr Knox approved of the body's "freshness" and paid them £10 for it. The actual order in which the victims were killed is somewhat confused, as the actual dates vary from account to account, with even Burke agreeing to different dates. Names were not taken in many cases, and it's possible that the pair killed so many in such a short space of time that they themselves could not keep track of things. Even the actual victims themselves can differ depending on which account is read. Joseph was related by marriage to a partner in the firm Carron Iron Company, but had fallen on hard times and was lodging and Hare's lodging house. Whilst lodging there, he became ill with, it was rumoured, an infectious fever. It was decided to kill Joseph before the rumours spread and possibly scared away current or potential lodgers. Burke held a small pillow across the man's face, and Hare lay across his body to prevent him from moving. Again, his body was sold to Dr Knox for £10. It was possible that Joseph wasn't actually ill, and this was just said so that his death did not seem suspicious. The case of the Englishman was similar to that of Joseph the Miller, but is probably separate. The Englishman, who was from Cheshire, was also a lodger who suffered from jaundice. He made a living by selling matches (called "spunks") on the streets of the city. He was also suffocated, and again his body was sold for £10. On Friday 9th April 1828 Burke was in a pub near the Canongate owned by a man called Swanston. Two young women, Mary Paterson and Janet Brown, entered having just been released from Canongate Police Station, where they had been held the previous night probably on charges of being drunk and disorderly. Burke spoke to them, and invited them to drink with him. After they had a few, Burke invited them back to his lodgings. They went to the house of Constantine Burke, William's brother, and his wife on Gibb's Close. There, they continued to drink, both Mary Paterson and Burke drinking heavily, although Janet Brown was more restrained. Burke took Brown to another public house, after Paterson became insensate, where he plied her with drink and food, then took her back to the house. There, Helen McDougal, who had entered whilst they were out, attacked both girls, accusing them of trying to corrupt her husband. After some disturbances, Janet Brown fled back to the house of Mrs Laurie where she stayed with Paterson. In her absence, Hare arrived and the pair killed Mary Patterson. On Janet Brown's return, she asked after Paterson, to be informed she had left with Burke. Brown returned on a number of occasions asking about her friend, who, she was eventually told, had left for Glasgow, but she herself escaped with her life. Mary Paterson's body was sold for £8 to Dr Knox. The first victim was found by Mrs Hare. She found an old women who she persuaded to return home with her and, when she did, plied her with whisky until drunk. Burke was apparently mending shoes and Hare at work at Port-Hopetoun, so this was probably early in their murderous career, before they completely gave up on honest work. When Hare returned home for his dinner, Mrs Hare had finally got the old women drunk, asleep and into a bed. Hare placed some of the bedding over her face. When he returned that evening, the woman had suffocated. Burke apparently had no direct involvement, although he assisted in taking the corpse to Dr Knox. The second old woman was killed in May 1828. She came into the lodging house to take a room, and drank enough of her own accord to pass out. Burke suffocated her himself, with Hare not participating in this murder. Effy was an old woman who made a living by searching for items in ashpits and cinder heaps. If she came across small pieces of leather she took them to Burke for him to buy and use in shoe mending. On one such occasion, Burke and Hare got her drunk and, when she went to sleep, suffocated her and took her body to Surgeon's Square where Dr Knox purchased it for £10. Burke came across a local policeman, Andrew Williamson, who was taking a drunken woman to the local watch house in West Port, so that she could sleep it off in a cell. Burke suggested instead that taking her to their lodgings would be a better idea, and Burke claimed that he knew where they were, as he suggested that he knew the woman. Burke took her to the lodging house, where she was murdered and they received another £10 from Dr Knox. Burke and McDonald had left the lodging house in the summer of 1828, apparently after a quarrel between Burke and Hare regarding a payment from Dr Knox, and were staying in the house of John Broggan. Mrs Hostler, a recent widow, was working in the Broggan's house washing clothes. Burke invited her to have a drink of whisky with him, until she was so drunk she needed to lie down. Hare, despite the disagreement between him and Burke, had by then appeared, and Mrs Hostler was smothered and her body sold for £8. Mary Haldane was already known to both Burke and Hare, having previously lived in the lodging house. The accounts of how she met her end differ. Burke stated in his confession that she was a lodger of Hare's, fell asleep in the stable while drunk, and was then suffocated, and was taken to Dr Knox the next day. The other account is that Burke met her in the Grassmarket, and offered to buy her a drink. They met with Hare, and returned to the lodging house, where McDougal and Mrs Hare plied her with drink. One she become intoxicated, Mary Haldane was smothered and her body sold to Dr Knox, although it is not known how much for. Mary's daughter Margaret, or Peggy, had not seen Mary for a day or two and, after making enquiries, was told by David Rymer, a grocer, that her mother had been seen in the company of Hare. She went to the lodging house, but both McDonald and Mrs Hare denied seeing Mary, much to Peggy's surprise. Hare came out to see Peggy after overhearing, and said he could tell her where her mother was. He invited her to share a drink, and they were soon joined by Burke. Hare said that Mary had left to visit some friends in Mid-Calder. Peggy soon drank enough that she passed out and she, like her mother, was also murdered, and her corpse was sold for £8 according to Burke. In June 1828 Burke came across a frail old man in the High Street. After inviting him to share a drink, Burke planned to take him back to the lodging house when they were approached by an old Irish woman leading her blind grandson. Burke discovered she had walked from Glasgow, and was looking for some friends. Burke decided she would be an easier target, not being local, and said he knew where her friends were. The old man was left and the woman and her grandson were taking to the lodging house. The old woman was given drink until she passed out, and she was murdered. Burke originally said the grandson was murdered in the same manner, but according to Leighton, he wasn't killed until the next day, when Burke laid the boy across his knee and broke his back. The two bodies were packed in a herring barrel, the tea chest having been lost somewhere, and were taken to Dr Knox. A problem arose on the journey, as the horse being used to pull the cart refused to move part way there, and the pair were worried they would be discovered. A porter was hired to take the barrel the rest of the way, and they were paid £16 for the bodies. Hare and his wife did not trust McDougal, and Mrs Hare urged Burke to murder her according to his confession. Burke was supposed to go out into the country for a few weeks, kill McDougal and sell her body. Burke did not do this, but he and McDougal did visit Maddiston, probably in June 1828, and both returned to Edinburgh. On his return, Burke discovered that Hare and his wife appeared to have come into some money. Burke thought that Hare had been doing some business of his own whilst Burke was away, and was informed that Hare had brought a body to Dr Knox. The monetary arrangement was that, for every ten pounds, Hare would get six, Burke four, out of which Burke had to pay Mrs Hare one pound for the use of the house if the murder was committed there. Now, it seemed that Hare was trying to cheat him out of his portion. This was probably the reason why Burke and McDougal relocated to the Broggan's for the summer. Ann McDougal was a relative of Helen McDougal, a cousin of Helen's former husband. After staying with Burke and McDougal in the Broggan house for several days, Hare and Burke plied Ann with whisky until she had to be put to bed. Being a relative, Burke was reluctant to kill her directly, instead asking Hare to do the most. Hare held his hand over her nose and mouth, while Burke held down her body. Neither the fact that Ann was a relative, or the matter of the argument with Hare over money that caused Burke to move out, prevented him from murdering said relative with his colleague or profiting from her corpse. Paterson, Knox's porter, provided a trunk to carry the body in. Broggan, on returning home, inquired about the trunk as he knew it didn't belong to any of the residents in his house. Burke gave him some whisky to keep quiet and, after being paid for Ann's body, both Burke and Hare paid Broggan 30 shillings. Broggan then left town for a while. James Wilson - "Daft Jamie"
Credit: http://en.wikipedia.org/wiki/File:Daft_Jamie.jpgJames Wilson was born on the 27th November 1809 in Edinburgh. With his father dead when he was twelve, and his mother working as a hawker, he was pretty much left alone to roam the streets. Daft Jamie probably had some type of mental disability, but he was a well known and largely kindly treated figure. Adults would often give him clothing, money or a meal, although children would often tease him. In either late September or early October 1828, Mrs Hare came across James Wilson looking for his mother in the Grassmarket. Mrs Hare claimed she had seen his mother, and told Jamie to follow her to the lodging house in Tanner's Close, where his mother was. Mrs Hare finally enticed Jamie to have a drink, something he was reluctant to do as he was afraid of "gettin' fou." She then went to Rymer's shop nearby, where she came across Burke, and signalled him that she had a potential victim in the house. Burke and Mrs Hare returned to the lodging house, and got Jamie to drink more and got him into the small room where so many had fallen victim before. Hare joined Burke, whilst Mrs Hare left the premises, and Burke finally attacked Jamie. Jamie was not as drunk as most of the other victims, and he was also in better health and stronger, so he fought his attacker. Jamie was making headway against Burke, until finally Hare tripped him to the floor, and the two men finished him off, with Hare closing Jamie's nose and mouth and Burke pinning his arms and legs. Daft Jamie was an unusual choice of victim for Burke and Hare. He wasn't infirm in any way, so put up more resistance. He was reluctant to drink, so wasn't near-insensible when murdered. He was also very well known in Edinburgh - even though Burke said at his trial that he hadn't seen Jamie before, which seems unlikely as he was a common sight to Edinburgh natives in the same area that Burke lived - rather than being a visitor who wouldn't be missed by locals. Burke also gave Daft Jamie's clothes to his brother Constantine's children, and apparently some of these were recognised by a baker who had originally given them to Jamie. The last victim to be claimed by Burke & Hare was an old Irishwoman, named either Mary Campbell or Docherty. Mrs Docherty had come to Edinburgh to look for her son, and had the misfortune to bump into Burke at Rymer's grocery store on the morning of October 31st 1828. She came into the shop to ask for assistance and Burke, having a drink, thought she looked an ideal victim. After chatting with his potential victim, he said his own mother was called Docherty, and that she could be related. Burke invited Mrs Docherty back to Broggan's house, now just occupied by Burke and McDougal since Broggan had left town for the moment. McDougal made Mrs Docherty welcome, whilst Burke went to look for Hare. Burke informed Hare that he had "a good shot to take to the doctors" at home. McDougal had given Mrs Docherty breakfast when they returned to Broggan's house, and the pair left to get some provisions for the murder - namely drink to render her insensible. An old soldier named James Gray and his wife were lodging at Broggan's house at that time. They had returned to Edinburgh after seventeen years, and had met Burke about a fortnight prior, after which he took lodging with Burke and McDougal. Burke explained to the Grays that Mrs Docherty was a relative of his mother and asked if Mr & Mrs Gray would take lodgings elsewhere for a day or two. The Grays agreed, and Burke set them up in Hare's lodging house. With the Grays out of the way, Burke and Hare entertained Mrs Docherty, plying her with drink and singing Irish songs. The neighbours heard a disturbance from Burke's house between 10 and 11 o'clock, and one woman though she saw Helen McDougal forcing whisky down Mrs Docherty's throat. At about 11 o'clock, Hare had a quarrel with Burke - although this quarrel may not have been genuine, bearing as it did a similarity between the one between Burke and McDougal immediately prior to the murder of Mary Paterson. Mrs Docherty tried to intervene, and wound up knocked to the floor. She was then unable to rise, due to the amount of drink she had consumed. McDougal and Mrs Hare left the house, and Burke and Hare murdered the old woman. This time, a mistake was made in the murder, and one of them held her strongly enough by the throat to leave a mark of violence. Mrs Docherty's body was stripped, doubled up, and hidden in straw beside the bed. Burke went to see Dr Knox's porter, Paterson, and returned with him to the house, informing Paterson that there would be a new body for him in the morning. Paterson left, and the murderous foursome continued drinking, later joined by the son of Broggan, who had had the house before. When the Grays returned the next day, having been invited back to breakfast by Burke, they inquired about where the "little old woman" for whom they had moved out the night before had gone. They were informed that she had had to be expelled from the house, as she had had too much to drink. Burke and Hare were arranging for the delivery of the body to Dr Knox's. They were unable to acquire a means of transporting the body so, between 5 and 6 o'clock, Burke bought an empty tea chest from Rymer's, hired a Porter named John McCulloch to take the box to Knox's. Burke, Hare and McCulloch, with Mrs Hare and Helen McDougal following some distance behind, took the tea chest to Knox's, where it was placed in the cellar. Paterson paid five pounds to Burke and Hare for the body, with the promise of another five pounds on Monday after Knox had examined the body. During and after breakfast, Burke's behaviour had made Mrs Gray suspect there was something wrong. Burke was splashing whisky all over the place while Mrs Gray was dressing her child, only occasionally drinking some. Whilst searching for one of her child's stockings, she had approached the straw where Mrs Docherty's body was hidden, but had been called away by Burke. She had also wanted to go under the bed for some potatoes, but had again been called away, and Burke offered to look for them himself, although she did get them without disturbing anything. Burke also told Broggan to sit on a chair near to the straw while Burke was out and until he returned. Broggan left shortly after Burke, and Helen McDougal also soon departed. Mrs Gray then went to the straw to examine it. Lifting the straw, she lifted up the arm of the dead woman. Her husband joined her and they saw the dead body of the old Irishwoman Burke had brought around the previous day. Horrified by the discovery, the Grays collected their belongings and made to leave the house. Mr Gray met Helen McDougal on the way out and demanded to know what they had in the house. McDougal, after an initial pretence, offered Gray five or six shillings to remain quiet. McDougal made out that the woman had died from drinking too much, and finally told Gray that he could get as much as ten pounds every week - possibly she intended to draw the Grays into their group. Upon leaving, McDougal followed the Grays and came across Mrs Hare in the street, and the pair convinced the Grays to join them in a nearby pub to try and persuade them to keep silent. The Grays were having nothing of it, and McDougal and Mrs Hare left the place. Mr Gray went to the nearest police station where, after some time waiting, he gave his statement to Sergeant-Major John Fisher. Fisher was of the opinion that Mr Gray merely wished some harm on a former landlord, but accompanied him, along with a police constable called Finlay, to the Burke's house. According to Fisher "I asked Burke what had become of his lodgers, and he replied there was one of them - pointing to Gray - and that he had turned him and his wife out for bad conduct. I then asked what had become of the little woman who had been there the day before, and he said she left the house about seven o'clock that morning. He said William Hare saw her go away, and added, in an insolent tone, that any number more saw her away. I then looked to see if there were any marks in the bed, and I saw marks of blood on a number of things there. I asked Mrs Burke how they came there, and she replied that a woman had lain in there about a fortnight before, and the bed had not been washed since. As for the old woman, she added that she knew her very well, they all lived in the Pleasance, and that she had seen her that very night in the Vennel, when she had apologised for her bad conduct on that previous night. I asked her then, what time the woman had left the house, and she said seven o'clock at night. When I found them to vary, I thought the best way was to take them to the Police Office." Fisher decided to take McDougal and Burke in, even though he still seemed to think that the whole matter was simply the Grays trying to cause trouble, due to the differences in time given by Burke and McDougal and given the bloodstained bedclothes. Fisher returned later that day along with the police surgeon, Dr Black, and Fisher's superintendent, finding blood in the straw under the bed and nightwear that presumably belonged to the, at this point, supposedly dead woman. On November 2nd Fisher went to the house of Dr Knox in Surgeon's Square and in the cellar discovered a box containing a dead woman. Mr Gray, after being sent for, identified the dead body as that of the old woman he had seen in Burke's house. It was now decided that Hare and his wife should also be brought in. Hare, when informed that Captain Stewart wished to talk to him, replied that although he had had a drink at Burke's house, he had nothing to fear from any questions. They were both also taken in to custody. Broggan's son was also taken into custody at some point, although he was later released as being apparently innocent of any involvement. In the meantime, the police were having Mrs Docherty's body examined, by two doctors, Black and Christison and Mr Newbiggin. The examination concluded that she had been strangled. On November 3rd, both Burke and McDougal both made declarations to the Sheriff, Tait. According to Burke, at 7 o'clock on Friday morning he got out of bed and started repairing a pair of shoes. Mr and Mrs Gray were already up, and McDougal got up at about 9 o'clock. Burke went out to get some tobacco, then he, McDougal and the Grays had breakfast at around ten, after which Mr Gray left the house, Burke resumed his work and the two women washed and tidied the place. That same evening, Burke said that he asked the Grays to move out, as they were not even paying for the food they were eating, and that he, Burke, could no longer afford to keep them, and suggested that they go to Hare's lodging house, to which place he accompanied them. On returning to Broggan's house, at around 6 o'clock, Burke met a stranger who he had never seen before who asked if he could repair a pair of shoes. Said stranger asked if he could leave a box with Burke for a time, and when Burke assented, he returned with a box which the stranger placed at the foot of the bed. Burke finished the mending and the stranger gave him sixpence and then left, leaving his box behind. Burke then opened the box and, upon finding it empty, looked under the bed where he saw a corpse, although he could not make out if it was a man or a woman. When the stranger returned, Burke complained to him about leaving such an item there, and asked him to take it away. The stranger agreed, but did not return until 6 o'clock on the Saturday. On the Saturday, Burke said he was in Rymer's shop when an old woman turned up. He recognised her accent as Irish, and, upon questioning, discovered that she hailed from Inesomen and was called Docherty, as was his mother. Burke invited her back to the house for breakfast, as it was possible she might be a distant relation, where she remained until 3 o'clock when she departed for the New Town to go begging. At 6 o'clock the stranger returned. On questioning, Burke said the stranger had revealed his name to be William Hare. Hare had returned with a porter, John McCulloch, and they were taking the body to Surgeon's Square. There, Paterson paid Hare for the body, and Hare gave Burke two pounds ten shillings for his troubles. Mrs Docherty never returned to his house, and he did not know what had happened to her. He stated that the body found in Knox's chambers was not that of Docherty and looked nothing like her. The blood in Broggan's house on the pillow he said came from him striking McDougal with it, as both Grays could testify to. When Helen McDougal gave her testimony it was as equally far from the truth as Burke's was, and even worse did not match his. According to McDougal, Mrs Docherty came to the Broggan house at around 10 o'clock on the Friday morning, where she took breakfast with them. During their conversation, Burke had come to the conclusion that she might be a distant relative of his mother, and so got them all a glass of whisky. Mrs Docherty departed the house at around 2 o'clock to go to look for her son in St. Mary's Wynd, and never returned. The rest of the Friday was spent drinking with the Hares and the Grays. On the Saturday, McDougal quarrelled with Mrs Gray about a dress, which she said Mrs Gray had stolen. In retribution, the Grays had summoned the police. McDougal said she knew nothing about any body, and that the body recovered from Knox's was not that of Mrs Docherty; Docherty having black hair and the corpse having gray. She did agree with Burke's statement of where the bloodstained pillow came from, which was the only part of their testimonies that matched. Burke was re-examined by Sheriff Tate on November 10th. When his prior testimony was read back to him, he stated that there were several errors. the events which had been described as having taken place on the Saturday had actually taken place on the Friday. He now stated that on the Friday there had been a drinking session, during which Burke and Hare had almost come to blows, but were separated by McDougal and Mrs Hare. After this, they noticed the absence of Mrs Docherty, and searched the house for her. She was found under a bed, with something - specifically stated as not being blood - coming from her mouth, and she was determined to be dead. McDougal and Mrs Hare left the house, and Burke and Hare stripped the body and decided to sell it to the surgeons. Burke denied having done any violence to Mary Docherty, while she was alive, only such as was required to get her into the box to carry her. Burke also said that Broggan's son, John, was not involved in the matter and had no knowledge of the body being in the house; a rather oddly redeeming statement as he could have spread the blame around. McDougal also gave another testimony on the 10th November. Here, she substantially agreed with her earlier statement - which still conflicted with Burke's - adding that she had ejected Mrs Docherty sometime between three and four o'clock on the Friday afternoon after she became troublesome. Even with the contradictory statements given by Burke and McDougal, the case still only rested on circumstantial evidence, and conviction was not assured. At this point Hare, seeing a chance to get himself off the hook, offered to give King's Evidence on the provision that neither he nor his wife would be prosecuted. This offer was accepted by the Lord Advocate. Credit: The History of Burke and HareBurke and McDougal, on the basis of the evidence supplied by Hare as well as that of other witnesses coming to fifty five in total, were set to be tried in Edinburgh on Wednesday 24th December at 10 o'clock. On the Wednesday, Burke and McDougal were indicted and accused on three murders; that of Mary Paterson or Mitchell between the 7th and 16th April at the house on Gibb's Close, that of James Wilson or Daft Jamie at the house on Tanner's Close and that of Madgy or Margery, or Mary McGonegal or Duffie, or Campbell, or Docherty (usually referred to here as Mrs Docherty) at the house on Portsburgh. It was decided in court that it would be prejudicial to Burke to be tried simultaneously on three separate and unconnected murders. The Lord Advocate therefore decided to proceed with just the third charge, that of the murder of Mrs Docherty. After the charges were read, both Burke and McDougal pleaded "Not Guilty" to them. A jury of fifteen men was established, and the trial started. David Paterson, Dr Knox's man who had purchased the corpses from Burke and Hare, was called as a witness on "the complicity of the doctors" when it came to the buying of corpses. He revealed that it was not uncommon for corpses that hadn't been buried to be brought for sale, especially those of the poor; a fact that came as a surprise to many. The primary witnesses against Burke and McDougal were Hare and Mrs Hare. Hare, on a number of times during his cross-examination by Burke's defence, was allowed to refuse to answer any question that might incriminate him. Hare's overall behaviour and refusal to answer caused the representatives for the defendants to state that the roles could have easily been reversed; that it could have been Burke and McDougal to be giving witness against the Hare's as opposed to the other way around. Credit: The History of Burke and HareBurke was finally induced to make a confession which he did on January 3rd, to Sheriff Tait, the Procurator Fiscal and the assistant Sheriff-Clerk. He supplemented this confession on January 22nd with a short statement in the presence of the previous three as well as the Reverend William Reid. Burke also made another, unofficial, statement on January 21st. In his confession, he detailed all the murders that the pair had committed. He stated that McDougal and Mrs Hare were not involved in the murders, and that the bodies were only offered to Knox's assistants, and that they had very few dealings with Knox himself. Burke usually portrayed Hare as the chief actor, and he said on several occasions that he would like Hare to share the scaffold with him. Doubtless, if the opportunity had arisen, he would have turned informer against Hare. Burke's confession of the 21st of January went into the murders in greater detail than that of his official confession. It was eventually published in the Edinburgh Evening Courant, after much legal wrangling. Credit: http://en.wikipedia.org/wiki/File:William_Burke_Execution.gifAfter Burke was found guilty, he was sentenced to death by hanging on the 28th January 1829, after which his body was to be publicly dissected by Dr Alexander Monro, Professor of Anatomy at Edinburgh University. He was given a black suit in which to appear and, by the time he was hung, a crowd of between twenty and twenty five thousand had gathered to view the event. Credit: http://en.wikipedia.org/wiki/File:William_Burke%27s_skeleton.jpgAfter his death, Burke's body was taken from the scaffold to the lock-up, where it remained until the next day. The body was taken to the College early Thursday morning, before a crowd could gather, people still being asleep. So many people wished to attend the dissection of the notorious Burke that there was a riot at his dissection, which required the police to be involved. Professor Christison arranged for the young men to be admitted in groups of fifty. Burke's body was exhibited at the College of Edinburgh of Friday 30th, naked, on a black marble slab. After this exhibition, it was said that Burke's body was cut up and preserved, and part of the skin from the neck and right arm was removed and tanned. The Museum of The Royal College of Surgeons of Edinburgh has, as part of its collection, a book allegedly made from the skin of William Burke. Hare was released from prison on Thursday 5th February 1829. A seat was booked for him, under the name of Mr Black, on a coach to England. He was muffled up to prevent recognition and accompanied by Fisher to the coach. Hare was unlucky in that, also upon the coach, was a Mr Sandford who had been employed by the relatives of Daft Jamie, along with Mr Jeffrey, to conduct the prosecution against Hare for Jamie's murder. Word passed that the infamous Hare was aboard the coach, and by the time it reached the King's Arms in Dumfries a crowd of some 8,000 people were waiting. Such was the trouble caused that Hare had to sneak out of a rear window of the King's Arms and board a waiting vehicle, which was then chased by a mob. The chaise made its way to the nearby jail. After his escape, the crowd rioted and attempted to break into the prison. Extra special constables were sworn in to help quell the riot. After the riot had quieted, Hare was told to leave the prison at 1 o'clock on the Saturday morning, and he slipped away on foot. He was then apparently seen on several occasions on his journey. His subsequent fate is not known for certain. He was rumoured to have been seen as a blind beggar in London, as well as to have died in Canada, when he would have been between sixty and seventy years old. Credit: The Chronicles of Crime: Or The New Newgate CalendarMcDougal was released on the Friday after being found Not Proven. She returned to her house in West Port. The next day, she ventured forth to buy whisky, but the shop keeper refused to serve her. On her way home, McDougal was spotted and recognised and had to be rescued by the police, otherwise she would have been lynched. She was initially taken to the police watch house in Wester Portsburgh, but had to dress in men’s clothes and escape through a rear window after the watch house itself was attacked, and the police believed they could not ensure her safety. McDougal left Edinburgh to return to her relatives in Stirlingshire, only to be sent away. She also went to both Carnworth and Newbigging, but was recognised and attacked in each place. Near the end of January 1829 a woman was mistakenly attacked and severely injured under the impression that she was Helen McDougal. Near the end of February, McDougal passed through Newcastle, where she was ordered to leave town by the police, who escorted her to the Blue Stone on the Tyne Bridge, which at the time marked the boundary between Northumberland and Durham. She, too, passed from public knowledge after this time. Mrs Hare was released from jail on Monday 26th January, two days before Burke's execution. She was recognised and assaulted, although fortunately for her the means of assault was snowballs, there being a thick covering of snow on the ground. She was locked up by the police for her own safety. The next time she was heard from was two weeks later, when the Glasgow Chronicle on Tuesday 10th February stated that Mrs Hare had been rescued from a mob by the police. She was detained in custody, as much for her own protection, until the 12th of February, when she sailed to Ireland (as she had said she wished) on the Fingal. The Fingal arrived in Belfast, after which Mrs Hare also dropped from sight. She was rumoured to have been employed as a nurse in Paris when about sixty or seventy. This nurse, although she denied ever having been to Scotland and being the infamous Mrs Hare, sang Scottish songs and had a daughter of about the right age to have been an infant at the time of the trial. On the 28th December after the trial, the house of Dr Knox in Minto Street was attacked by a gang of young men. They were eventually driven off by the police, but only after they broke numerous windows. Pressure mounted due to what was described as “the complicity of the doctors" and, although Knox remained quiet, Paterson wrote a letter in the Caledonian Mercury on January 15th complaining about the accusations made against him, saying he had only remained quiet on the word of Dr Knox. In later replies he stated that he was being made a scapegoat. Dr Knox himself had done nothing to appease the public perception of him. Indeed, to many it seemed as if he were the true villain, as he must have known that Burke & Hare were committing murders on his behalf; they taking the risk, he paying them for it. His egotism and pride had done little to endear him to his peers either, who felt he justly deserved to be on the receiving end of this public outrage. On Thursday 12th February 1829 a massive demonstration in Edinburgh was made against Know, starting in Calton, going up Leith Street and over the Bridges of the Old Town. The crowd bore at the front an effigy of the doctor, on the back of which was a label saying "Knox, the associate of the infamous Hare." A single policeman attempted to stop the mob; not surprisingly he failed and in the course of this was injured. After the mob arrived where Knox lived, the effigy of him was hung from a tree by the neck. There were a number of other riots in Edinburgh regarding Dr Knox, including an attempt to break into his house on Surgeon's Square as well as breaking a number of the windows in the College. The rioters demanded that Knox be put on trial himself. A committee, initially headed by the Marquis of Queensberry although he later retired, was formed at Knox's request to investigate his dealings with the West Port murderers. Finally, on Saturday 21st March, their findings were published. The report, in summary, absolved Knox of any blame or complicity in the murders, and that any blame at all would be attached to the door-keeper (Paterson), who appeared to being made the scapegoat he believed. Knox was forced to resign as Curator of the museum he had founded in 1831, and his lecturing business declined not long afterwards, the regular supply of legal fresh cadavers under the new Anatomy Act removing much of his competitive advantage, before finally collapsing after the University had its own class in practical anatomy made compulsory. Dr Knox finally left Edinburgh for London in 1842, where he found it impossible to get any work as a surgeon. He became the pathologist at the Free Cancer Hospital in 1856, where he worked until his death in 1862. He was buried in Brookwood Cemetery, near Woking in Surrey. One lasting impression William Burke made was to have new words added to the English language related to him. "Burke" (as well as "burking" and "burked") means to murder someone in such a way as to leave little or no marks of violence on their bodies, such as by suffocation and by compressing the chest. On Saturday 5th November 1831 two known resurrectionists, John Bishop and James May, came to the Dissecting Room at King's College in London. There, May informed the porter, Mr Hill, that they had a corpse to sell. After some haggling, a price of nine guineas was agreed upon. Later that afternoon, the two men returned with a third, Thomas Williams, and a street porter carrying a hamper, in which was a body of a teenage boy. Hill noticed that there were suspicious marks to the boy, and his posture did not resemble that of someone removed from a coffin. He informed the demonstrator, Mr Partridge, of his suspicions. Mr Partridge examined the body without seeing the men, finding marks of a suspicious nature, such as a swollen jaw, bloodshot eyes and a cut over the left temple. He sent for the police, then went to see the men and showed them a fifty pound note, saying he needed to get it changed before he could pay them. Bishop suggested that Partridge pay him what gold he had in his purse, and that he, Bishop, would return on Monday for the rest. May offered to go for the change himself. Mr Partridge declined both of these offers, and went from the room to obtain the change himself. All this was a delaying tactic until the police arrived, upon which the three were taken into custody and the body seized. A subsequent examination by three surgeons, including Partridge, revealed that the boy had indeed died through violent means. The boy was identified as being Carlo Ferreer, and Italian who had arrived in London two years previously. Credit: Wellcome Library / Wellcome Images is licensed under a Creative Commons Attribution 2.0 UK: England & Wales LicenseThe boy had been seen, as had Bishop and Williams, on Thursday 3rd November near Bishop's house in Nova Scotia Gardens, although all were seen separately. That evening, sounds of a scuffle were heard from the house, although it was ignored. In Bishop's house were found a bradawl, file and two chisels, with the bradawl appearing to bear fresh blood. In May's house on Dorset Street, New Kent Road, were found a vest and pair of trousers, both apparently bloodstained. More bloodstained clothing was found buried in Bishop's garden. The three were tried at the Old Bailey on 1st December, and were found guilty of murder. Their execution was set for the 5th December. On the 4th both Williams and Bishop confessed to the under-sheriff, in which they stated that they had murdered the boy, although they claimed he was from Lincolnshire, and not Italy. It appeared that this was a genuine mistake on the murderers part. They also admitted to murdering two others; a woman and a boy of about eleven. They also stated that May had not been involved in any of the murders. Bishop himself had been a body-snatcher for twelve years, during which time he had sold over 500 bodies. He had been inspired by the events of the West Port murders to attempt to duplicate them as a means of obtaining fresh corpses, but lacked the ability to disguise the murders as Burke & Hare had done for so long. Bishop and Williams were executed on Monday 5th December at Newgate scaffold in front of a crowd of as many as 30,000 people. May, exonerated by their confession, was not executed. The actions of the London Burkers, following on from the West Port murders of Burke & Hare, resulted in the Anatomy Act  finally being passed and receiving Royal Assent on August 1st 1832. The initial Anatomy Act was presented to the House of Commons by Henry Warburton, Member for Bridport, on March 21st 1829. Although it initially made progress, it was later withdrawn from the House of Lords after the Archbishop of Canterbury of the time, William Howley, opposed the bill. It required the actions of the London Burkers to drive home the need for regulation. Mr Warburton, after the execution of the London Burkers, on 15th December 1831 once again introduced his slightly altered bill to the House of Commons where it was read for the first time. The second reading, originally scheduled for 17th January 1832, had to be postponed due to not enough members being present and was read on January 29th. It was finally passed by the House of Commons on May 11th. Thanks, I enjoyed writing it. What a dreadful story! Thanks for telling us about it. It is surprising, given how prolific they were, that their story isn't more widely known. Unusually, they murdered for money too. Excellent and exhaustive. I added a "for further reading" section to my own earlier article about Burke & Hare with a link to your piece and to your profile page. You obviously took your time here, and it shows. BIG thumb's up! Thanks for the link and thanks for the compliment. Given the standard of your work, it means a lot. Wow! It's nice to see that there are still a few web writers willing to put in the hard work to produce pieces like this. Who knew so many murders were carried out just because there was a shortage of cadavers? Well deserved feature! Thanks. I saw a recent (fictionalised) account of the murders and decided to look up what actually happened and write an article on it. It sort of got carried away. WOW! You should have turned this into an ebook. A lot of cool information for people who like mysteries and murders. Great job! Thanks, I did consider an ebook when it got out of control length-wise, but wasn't certain about it. Maybe I'll do something with it later. Yes - definitely worth an ebook! Great job! Thanks for the interesting and well-researched article. Thanks, definitely something to look into then. Interesting, detailed article. I work as a tour guide Edinburgh, and am a little familiar with the story. However, this certainly fills in a lot of the blanks for me! Thanks! By the way, have you heard this rhyme? Burke's the butcher Hare's the thief, Knox the man who buys the beef. Thanks. That rhyme does seem familiar, although I couldn't say where from as I read a lot of stuff on Burke & Hare whilst writing this article. Very informative article. We are looking into our local history and we have found links to burke and hare and an area beside the forth and clyde canal and seabegs wood. The tunnel under the canal and the woods are known as the "doctors pend" and "doctors wood" respectively, supposedly after a Doctor Grindlay who had been involved with the deadly duo and bodies had been moved along the canal and sometimes kept over night maybe in or around where Grindlay lived. Now is this all just myth and legend or is there any truth in any of it. I cant find any thing to tie them into this area apart from the fact they both worked on the union canal. Hopefully you can shed light on this. Sorry for the essay!! Thanks for the reply. Although both worked upon the Union Canal, according to The History of Burke and Hare "though there is no evidence that they met each other until the year 1827, in Edinburgh." It's possible that there may have been some connection, although Grindlay isn't mentioned in either the History or The Court of Caucus. There doesn't appear to be evidence of any connection between the two before Edinburgh from the books published at the time, and the majority of most books on the subject look into the West Port Murders. Bodysnatching was quite common, so it's possible that there was an association with normal resurrection men and Grindlay - many medical professionals were involved with it - which may have become tangled up with the Burke & Hare legends. Still, it's an interesting idea, so I'll see if anyone else has anything on the subject. I think you may be right, local history says that Burke and Hare had rendezvous at Seabegs House, but it doesnt really make sense. According to what I have found Grindlay was a failed Doctor who had studied in Glasgow but never made it. I would imagine , as you said, that resurrectionists were operating in the area and local myth making has involved the two most well known names. Burke and McDougal did live nearby (Maddiston) while Burke was working on the canal, so they definitely had history in the area. George MacGregor The History of Burke and Hare, p45. Glasgow: Thomas D Morison, 1884. George MacGregor The History of Burke and Hare, p237. Glasgow: Thomas D Morison, 1884. Alexander Leighton The Court of Cacus. Edinburgh: W P Nimo, 1861.